George Washington loved ice cream, and the founders of Tudor Place loved and revered George Washington, their forebear. So it’s fitting to bring American history and this summertime favorite together to celebrate our nation’s birthday at a family event! We’ll start with a special, family-friendly mansion tour focusing on its many George and Martha Washington connections. 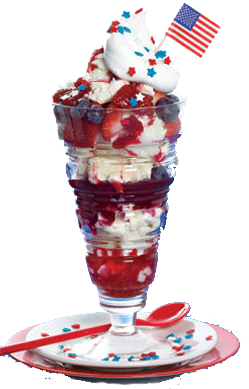 Then, make your own ice cream sundaes in the garden, and enjoy children’s games and crafts. All participants will receive a special copy of a rare, personal letter from Washington belonging to the Tudor Place archives. One of just three such notes in existence, it is his affectionate note to his wife as he took up command of the Continental Army.Member Child: $5; Non-Member Child: $10; Adult: $5; Military: FREE.